See scan - perfect condition. 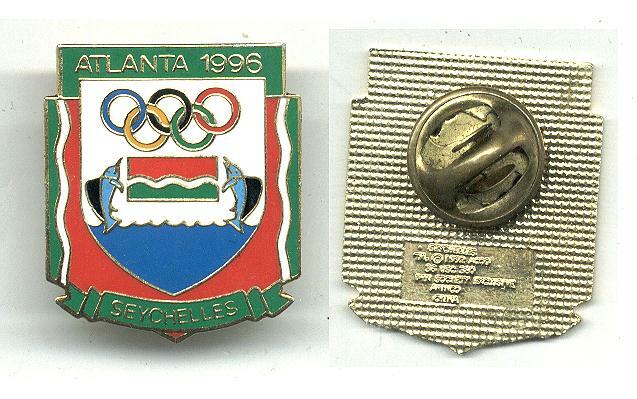 This is a nice and rare Seychelles Olympic NOC official team pin for the Summer Olympics / Olympic Games in Atlanta 1996. Nice olympic / sports collector piece and one of the rare Olympic pins.